Wherever one travels in the world, one is sure to encounter Sikhs, a people like no other. They are usually handsome, hard working, magnanimous, friendly and passionate. 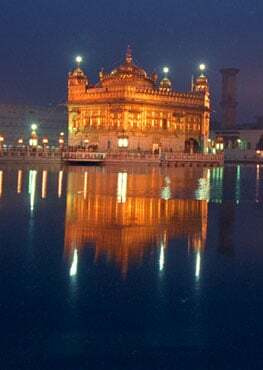 To understand and appreciate the Sikhs one has to look at the ten Gurus, whose teachings the Sikhs imbibe, which is to be industrious, seek oneness with the divine and live well while sharing with others. 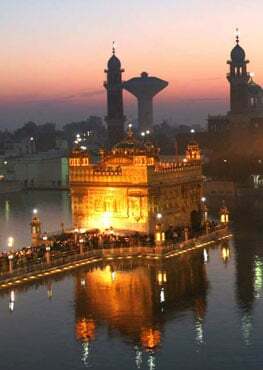 If today India is free from foreign rule, it is in a significant part the contribution of the Sikh Gurus and people. Little known even to most Indians is that out of 121 patriots hanged by the British 93 were Sikhs. Of the 2626 awarded life-imprisonment 2147 were Sikhs. Of the 1300 martyred in Jallianwala Bagh 799 were Sikhs. Considering that the Sikhs were hardly 1.5 per cent of the total population of India at the time, their sacrifices amounted to 90 per cent. No ruling power can tolerate another power centre no matter how gentle and compassionate it may be. For they fear that the cub of today may become the lion of tomorrow. Tyranny rained upon the people of India by both Muslim rulers and their Hindu vassal rulers. The Muslim rulers were brazen in their unspeakable cruelty and tyranny. On the other hand a majority of the 22 Hindu Rajput kings of the hill region (now Himachal Pradesh and Uttarakhand) joined hands with the invaders and Muslim rulers to oppress and plunder other Indians by cunning and deceit. Sadly in their quest for power and wealth they often acted dishonourably, corroding the reputation of the Rajputs as a noble warrior people. Many people incorrectly believe that Guru Gobind Singh ji raised a peoples army of warrior saints to fight the Muslim rulers. It was to fight injustice and tyranny everywhere. Even the Mughal emperor Bhadhur Shah deferred to the Guru. Guru Gobind Singh ji, added to the 'Adi Granth' which is the compilation of hymns of the Sikh Gurus and that of numerous (30) Sages, saints, Pir and Fakirs of India. One could easily call the Guru Granth Sahib as the 'Hymn book of India'. A great unifying piece of poetry, and hymns rendered not in complicated language but in the local spoken language to make it easy to understand, appreciate and be inspired by. The Guru lived by example and such supreme inspiration that his young sons, and countless Sikhs committed their lives to the Guru. They lived and died for truth, justice and humanity. Guru ji was against tyranny not Islam and had many Muslim disciples too. Amongst the vastness and magnificent beauty of Sikhism and Guru Gobind Singh ji's teachings and practice is the continuous evolution of a superior humanity based on truth, love, justice, nobility, sacrifice and valour. A path on which all people irrespective of caste, creed or gender can join in and walk with dignity and universal brotherhood. I send greetings to all people in all lands on this auspicious 353rd birth anniversary of of Guru Gobind Singh ji.